A former science fiction writer for Nature, Cosmos, and Penguin, Shelly is passionate about realizing near-future possibilities and brings that energy into solving pain points for SMR’s customers. 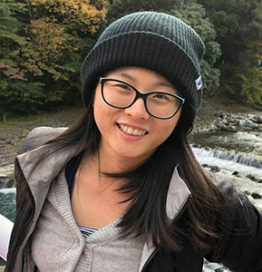 Having studied philosophy and economics as a University Scholar at Duke University and—briefly—at the University of Oxford, her interdisciplinary interests led her to join Morgan Stanley’s industrials and transportation groups in investment banking and later McKinsey’s recovery and transformation vertical as a management consultant, specializing in supply chain solutions. On weekends, Shelly can be found playing golf, hiking, or exploring strange tourist destinations.